(Christopher Maynard @ ConsumerAffairs) In June, we reported that sometimes consumers had to do a little extra work to find the best prices when shopping on Amazon. Researchers from Northeastern University pointed out that not all items that consumers buy on the site come directly from Amazon, so what pops up first in your search may not necessarily be the best price. Now, a new report by ProPublica shows that price comparisons on the site may be even more complicated. The organization alleges that Amazon fixes the results of its price-comparison pages so that items sold directly by Amazon, or by merchants who pay the company to ship products on their behalf, are given priority in the search results. This is a potentially huge problem since these comparison pages are supposed to let consumers find the best deals for the products they want. The report cites an example of trying to find the best deal on Loctite super glue. After entering in the request, results for different options were spit back out. One result showed the product being sold for $6.75 from a company in Texas with free shipping, while another similar offer showed the product going for $7.27 with free shipping from a company in Ohio. However, the result that ranked first was being offered by Amazon itself for an even higher price, at $7.80. While this price wasn’t all that much higher than the previous two options at first glance, the researchers found that the offer did not include free shipping. With the additional cost of the shipping, the price came out to $14.31 before taxes, slightly less than double the price of the previous two offers. The researchers found that this was a common part of Amazon’s algorithmic pricing. Products sold by third-party merchants who were not a part of Amazon’s shipping service were ranked by the cost of the product and the shipping fee, while those sold by Amazon and affiliated parties were ranked without the shipping fee included. 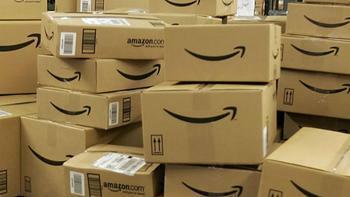 Amazon has provided some explanation for the discrepancy, saying that the vast majority of its products are eligible for free shipping if a consumer is a Prime member or signs up for Super Saver Shipping. “With Prime and Super Saver Shipping (which requires no membership and ships orders above $49 for free), the vast majority of our items – 9 out of 10 – can ship for free. The sorting algorithms the article refers to are designed for that 90% of items ordered, where shipping costs do not apply,” said Amazon in a statement. However, as the statement alludes to, free shipping is contingent on a couple of factors. If a consumer is not a Prime member and does not create an order that totals more than $49, then the items they search for may not be in optimal order for them to find a deal.